"CS carbon nanotube" achieves high controllability with rally. A sol	（Experience：１１〜２０ years）	Cool! I wanted a badminton in a local club and wanted a good racket, I purchased this arc saber 2i. It is light and easy to use, it is easy to put on controls. It's easy to swing very easily, a very good smash hits you! I just started, so I purchased a racket for beginners. This racket has a soft shaft, so you can fly away when you hit. Because it can purchase at about 10,000 yen, it is a recommended racket for those who are planning to play in earnest. Chibi shuttle	（Experience：４〜５ years）	Shake your opponent! This racket is a popular racket for medium and advanced players. Since ARCSABER is a racquet specialized for control, we are good at playing different courses and moving opponents compared to other racquets. Also, since 2i is even (center of gravity is middle), it can correspond to both smash and fast deployment. Therefore, it is recommended for the first one. 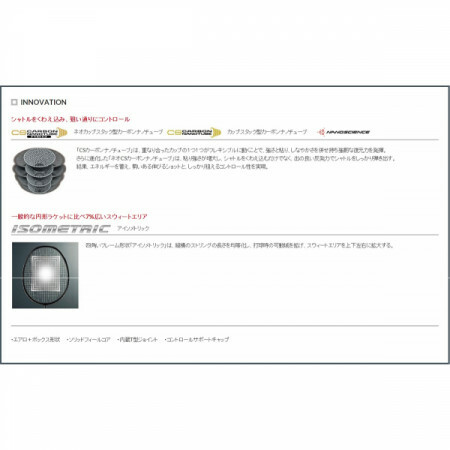 Chikako	（Experience：More than ２０ years）	Arc Saver 2i is easy to control! 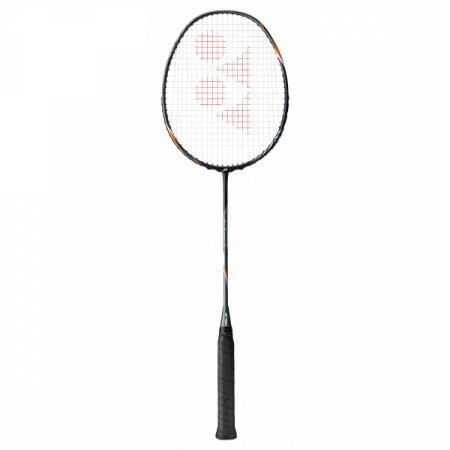 Because Arco Saber 2i has excellent repulsion power, it is much easier to control and you can demonstrate more power than practical in practice and games. I can be satisfied because I can sustain momentum and hit a shot with growth! It is a racket for high-grade ladies intermediate level that can handle even men's. It is a point that I love the strength that does not blur the T joint part. 3U6 (83g) and it is just right for me. I purchased black, but I am also considering oranges. It is a racket that is easy to handle various playing styles, and one of the distinguishing features is that the ball is felt soft. Because it is a very reasonable price, the range of utilization widens as practice for everyday use. I like the sense of grip is also easy to familiarize.